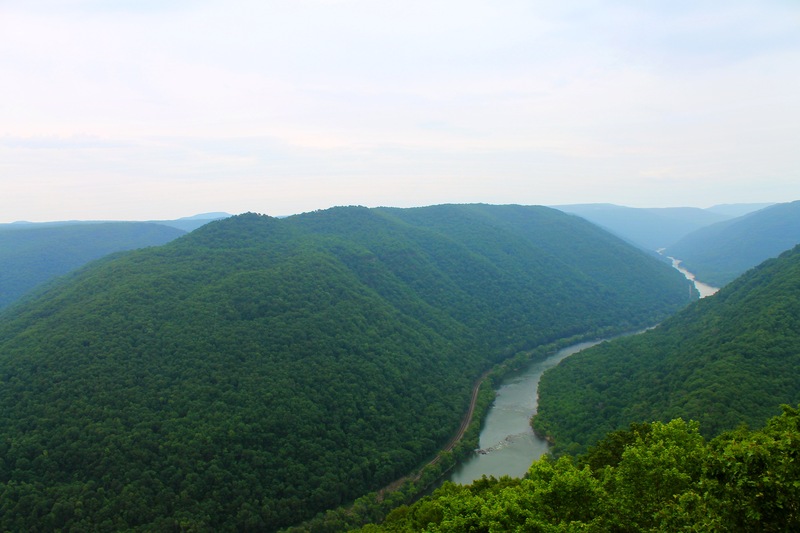 Grandview is a beautiful area located in the New River Gorge of West Virginia. 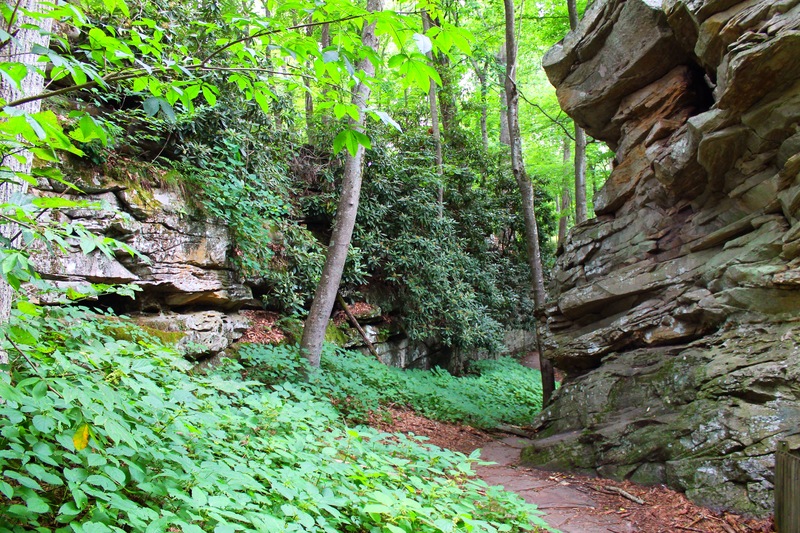 It is located just 15 minutes from Interestate 64 near the town of Beckley. 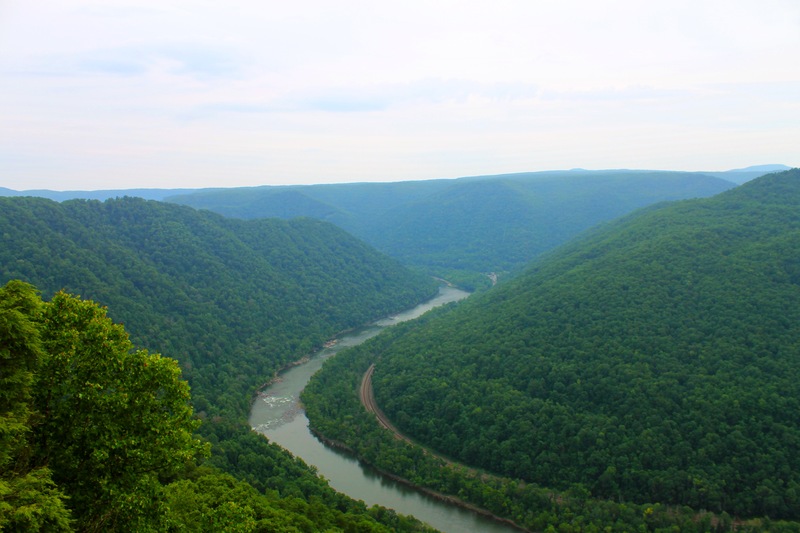 The main overlook offers a panoramic view of the “horseshoe” in the gorge below. When you look to the left, you can just barely see the small coal town of Quinnimont at the bottom of the gorge where the first coal was shipped out in 1873. 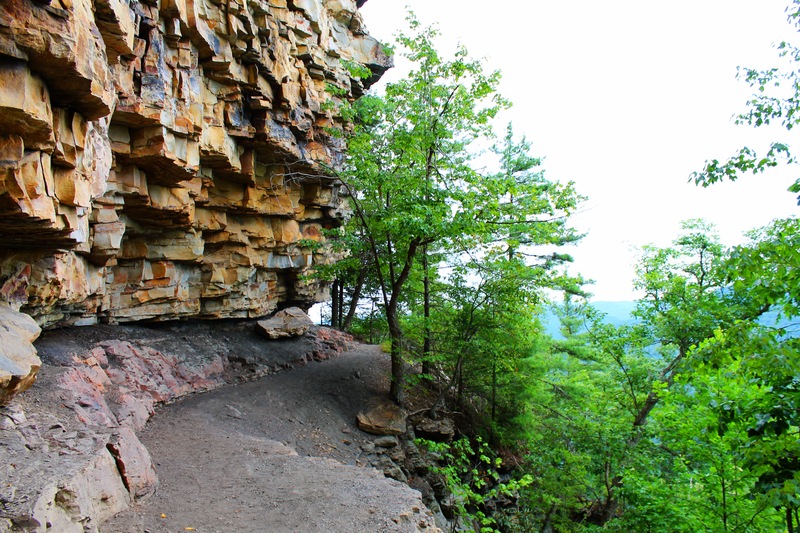 There is also another overlook, Turkey Spur. While we were visiting the park, the road to this overlook was closed so the only access to this overlook was via a 1.6 mile out and back trail. 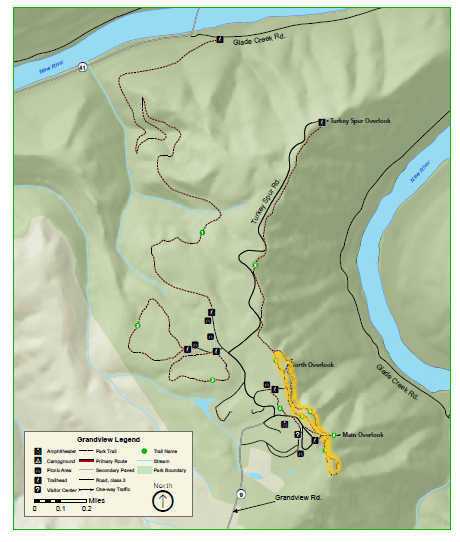 We also hike a couple trails at Grandview as you can see from the map below. 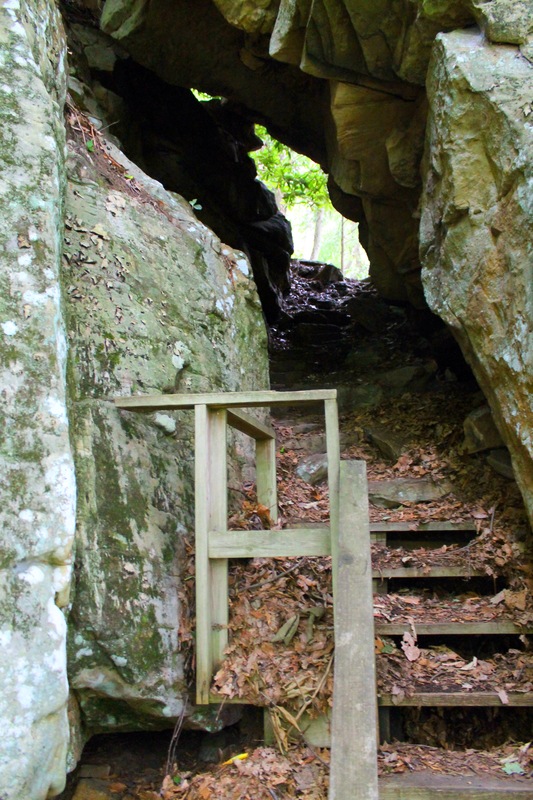 The first trail we hiked was the Tunnel trail which is a .5 mile trail that leads through the dense forest and even lets you climb through a cave-like tunnel. 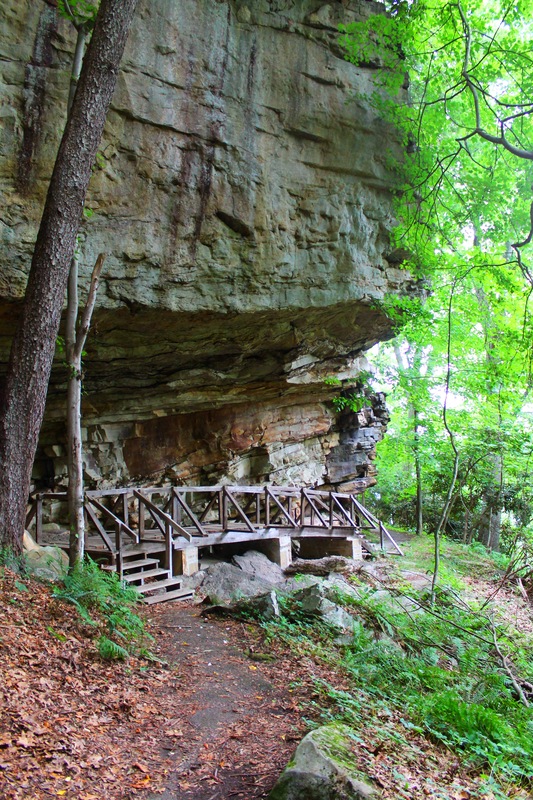 The trail starts near the main overlook. 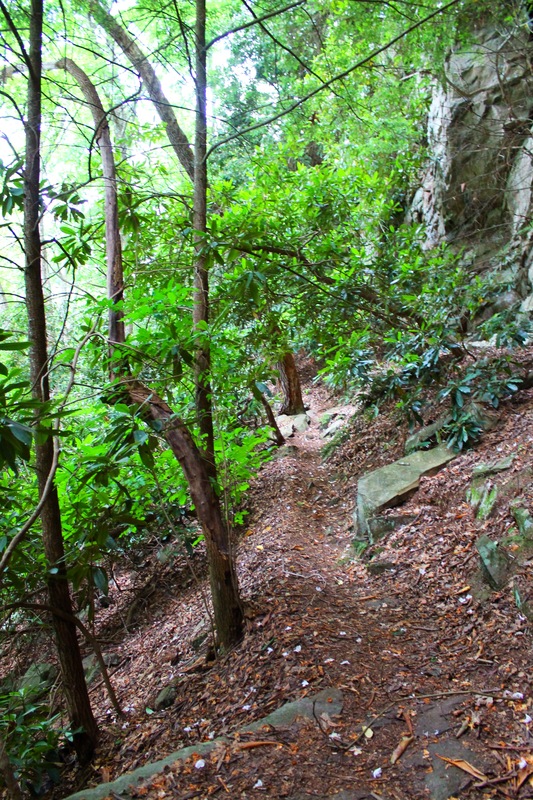 The rhododendrons create a canopy in some places along the trail. 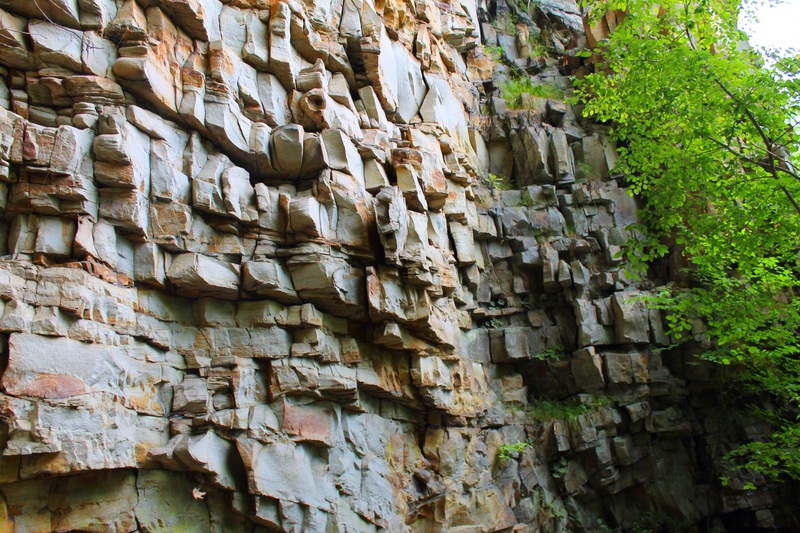 I loved the rock formations of this cliff. And you even get a peek at the river below. 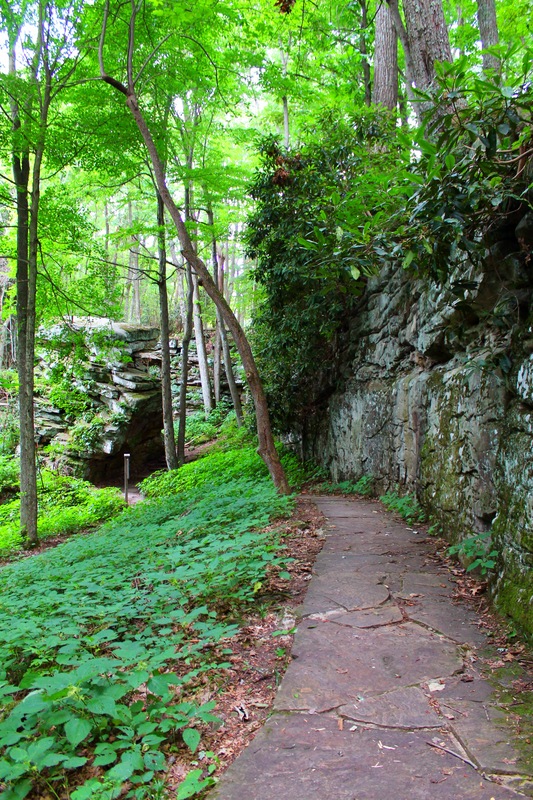 When the Castle Rock Trail ended, we took trail #5 back towards the Visitors Center to return to the parking lot. 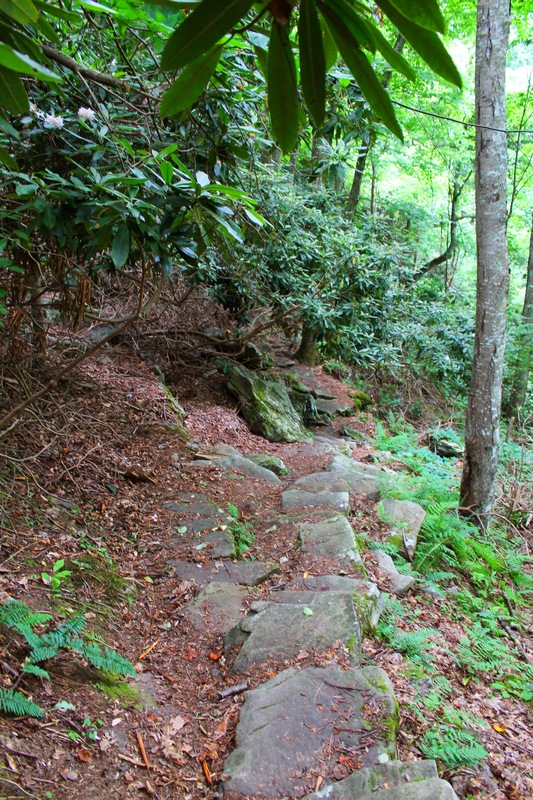 This trail is fairly flat with a couple side trails to overlook platforms. 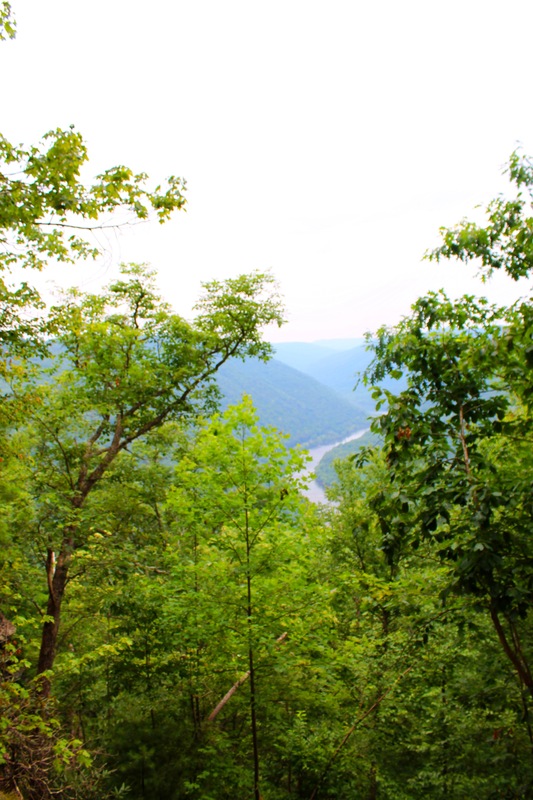 We visited Grandview on our second day of our New River Gorge Driving Tour. You can see our route here on the map below. 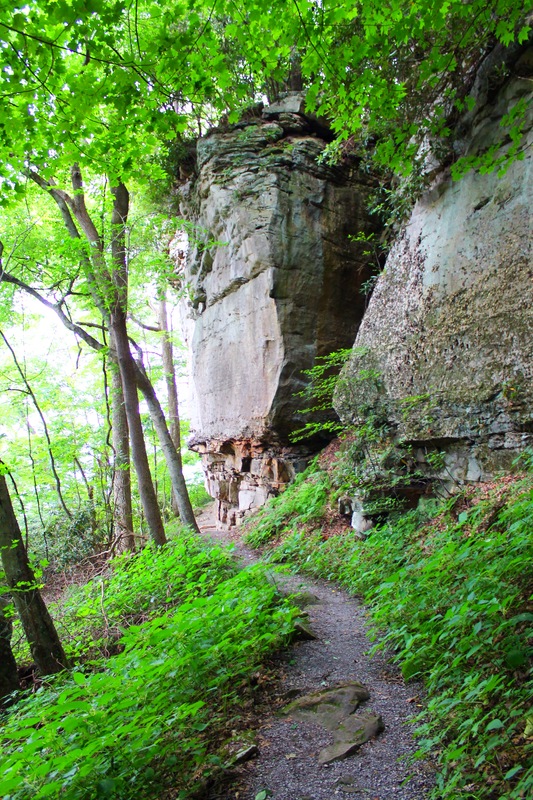 Grandview is a great place to view the New River Gorge and do a bit of hiking especially since it is just a short drive from Interstate 64. Please leave a comment below! Georgeous!! Loved the horseshoe panaramic view. Trees & the colors are stunning! 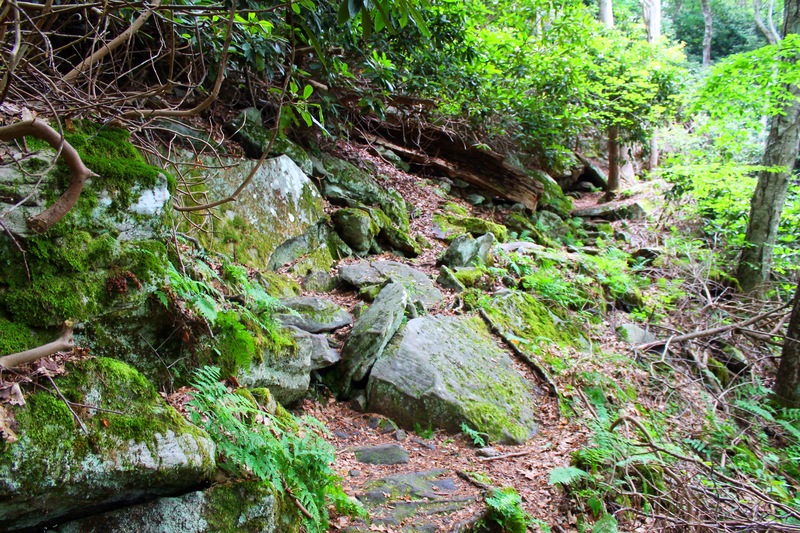 The further from the bottom photo looks like a pretty scary narrow trail!!! Love the rock wall photos.. 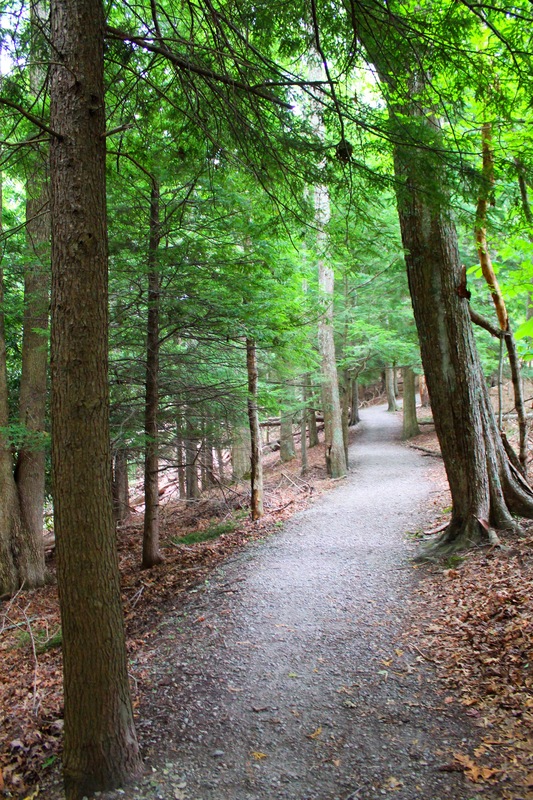 It was a narrow and scary trail! And that is the one I tripped on and hurt my knee!! Oops.. I meant fourth from bottom!